These affordable and convenient pouches will come in handy when you need them most. With a 5-year shelf life, each pouch contains 4.225 oz. of chlorine-free water. 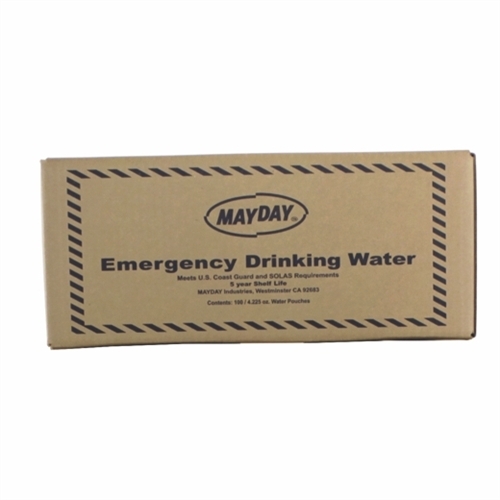 Buy a case and store them in your car, at your office, in your emergency kits -- even share them with your friends and relatives!This item is not included in the free shipping offer. Due to the weight of this item, additional shipping charges of at least $20 per case will likely apply. You will be contacted after your order placement for any such instances.